At Michael J. Messick Plumbing, Heating and Air Conditioning, we have created an all-in-one company, catering to wells, pumps and accessories (Mr. Well Pump), all applications of septic service (Stinky's Septic Service), as well as our personal and professional service of plumbing, heating and air conditioning. Our group of professional installers strive for perfection and the ability to diagnose and repair all problems (no matter how big or small) within the same day. 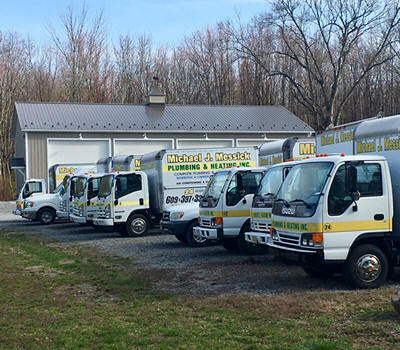 At Messick Plumbing our trucks are considered rolling warehouses. 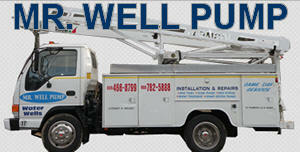 We carry a large selction of all major brands, because not all fixtures can be repaired with universal parts. A live person answers our phones at all times, no matter what day or time. 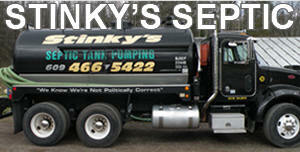 By doing this we are able to schedule appointments and get to the job site in the most efficent way possible. This also allows us to cater to even the biggest of commercial businesses in the industry.